Hello!! Nicole here today and I have a cute card to share with you that I made for one of my youngest daughter's friends. I am sure you have seen the EOS projects/cards that have been floating around in blogworld for awhile now. I purchased several of these files and thought it would be good to use one for a birthday card. I hope I have inspired you to use some of the older stamps - the "Short and Sweet Tag" set is very versatile with sentiments to cover many different occasions along with tags to place them in. Feel free to visit my BLOG for more information on my card. 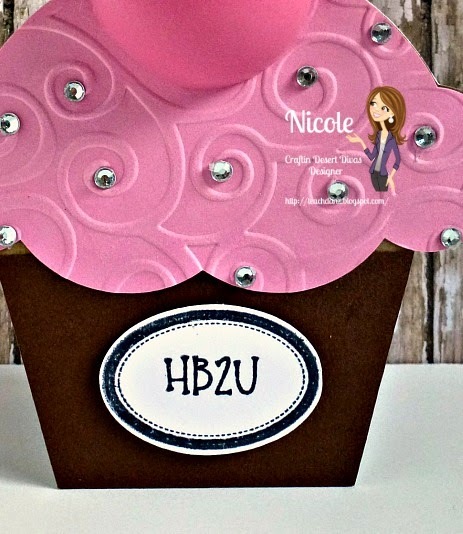 :Love your Cupcake Birthday Card!! 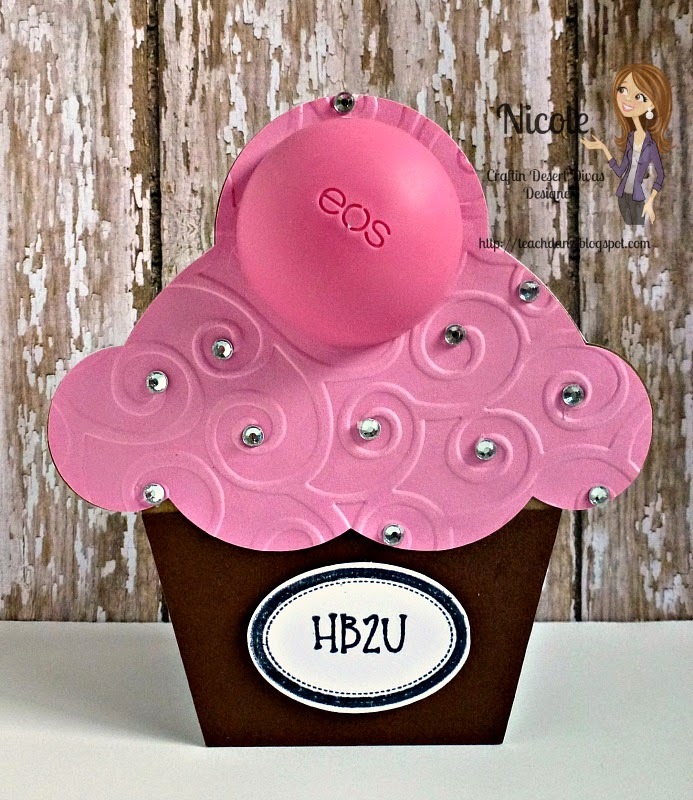 Love the colors and the embossing folder you used and your cherry on top is perfect along with your bling and your tag is so cute. Your card will be the hit of her birthday. YOU so ROCK! !